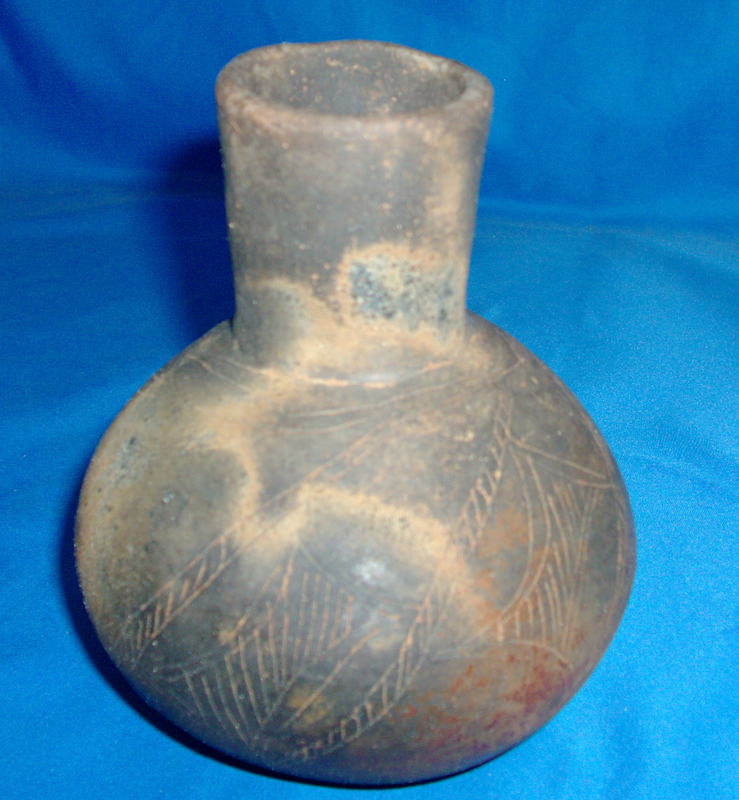 A Medium Size, Very Well Made, Caddo Engraved Waterbottle That Exhibits Surface Sheen And Clay Coloration Patination, Aged Deposits In The Engraving, Visible Aged Open Pit Firing And Firemarking, Aged Bottom Use Wear, Visible One Side Aged Placement Surface Leaching, Correct Material And Manufacture For The Area Found. Ex-Jack Bonds Collection. This Nice Example Has Unique Engraved Surface Decoration, Associated With The Southern Caddo Culture And Is In Solid Condition! Includes A Ken Partain Certificate Of Authenticity!